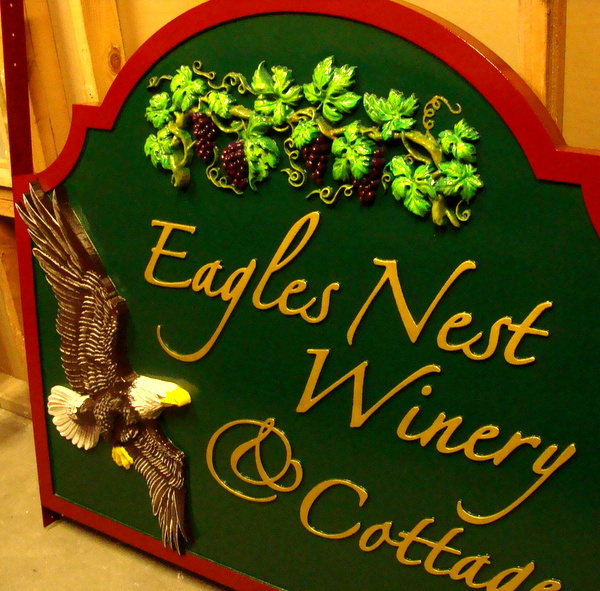 This premium sign for the Eagles Nest Winery & Cottages is made of carved High-Density-Urethane (HDU). The text , border, and artwork is raised above a smooth background . The eagle and grape-leaf cluster are carved in 3-D bas-relief and painted with an airbrush and artist-brush. The sign is clear-coated twice for additional protection against UV radiation and moisture.